The official XBMC remote app has been non-functional on Kodi, but that changed with the recent release of Kore: the official Kodi remote app. A key aspect to take into consideration when building your HTPC is, without a doubt, comfort. This desirable feature is an integral part of the media experience, whether you are watching videos, live TV or listening to music. If you have been following this website you already know there are ways in which you can achieve comfort, such as keyboard and mouse combos or web interfaces that you can control from any mobile device. These ways to control your HTPC, coupled with the 10-foot interface offered by XBMC/Kodi, make for a great viewing experience. However, none of these ways was officially endorsed to be used with XBMC/Kodi, but that has changed recently. 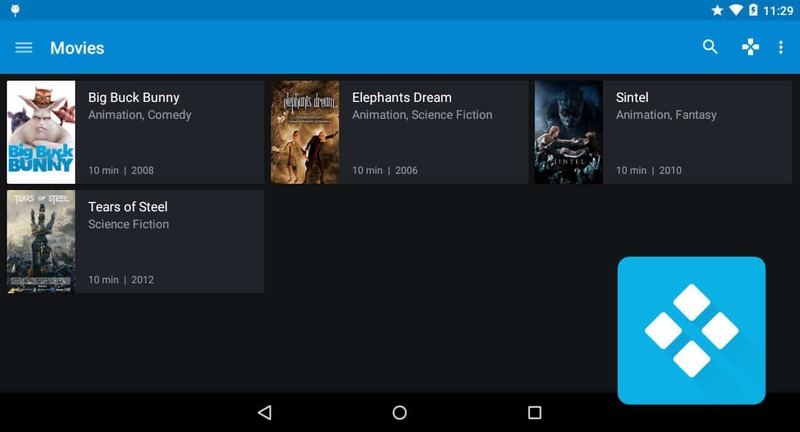 Enter Kore, a remote app available for Android devices that lets you use them as a remote control for your Kodi-enabled HTPC. Yes, that’s right, that very same phone you have on your desk or in your pocket right now, or that very same tablet you just used to play a moment ago. These devices can be turned into an amazing remote control which makes more than just switch streams. Kore can show information about your content within its interface. What does Kore for XBMC/Kodi do? Alright, how do I get this Official Kodi remote control app? I’m glad you asked, but I don’t know where to start! Kore remote app has just so many features, with more on the way, since it is an open-source project available on GitHub. This means that anyone can contribute, though the Google Play version of the app is maintained by the guys at Synced Synapse. 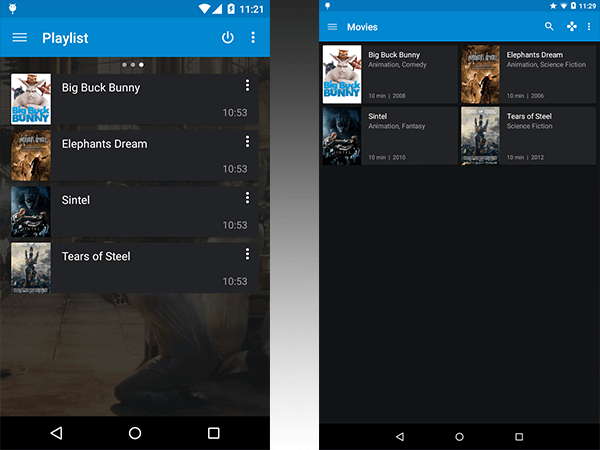 This Kodi remote control app can run on Android 4.0.3 and upwards, and allows you to do a bunch of things related to your media center. From controlling your media with an easy to use touchscreen remote (your mobile device), to see relevant information about what’s currently playing, manage subtitles, audio streams, your current playlist, and more; all of these features make Kore a good alternative to control your HTPC from your couch. According to the official announcement of Kore, these features will be added in future updates. With Kore you can play your favorite movies or playlists, with a single tap. I have tested this Android remote app and everything from configuration to use is really easy and intuitive. There is an option for automatic configuration, but that did not work for me; however, manual configuration is easy to perform, and once complete, the speed and responsiveness of this application proved to be really fast. The communication is done via network, but it happens so quickly that you might forget about that and think you are using an infrared remote controller. Once you are done watching your content, you can simply select the option “quit” from your Kore interface, and Kodi will close. I was able to fast forward and rewind video easily, as well as control volume and even configure a playlist, all without touching the mouse or keyboard in my PC. The only difficulty I encountered was having to input search terms with directional arrows within the app, but I assume in future updates it might bring a virtual keyboard up, so you can use your tablet to type or do more tasks within Kodi. You can download Kore from the Google Play store on your Android-enabled device. Kore is available in several languages like English, German, Spanish, Portuguese, and others, which will make it easier to use for a greater amount of users. It supports communication with XBMC versions like Frodo and Gotham, and Kodi versions like Helix and Isengard. All in all, Kore seems to be a great way to control your XBMC/Kodi enabled HTPC. 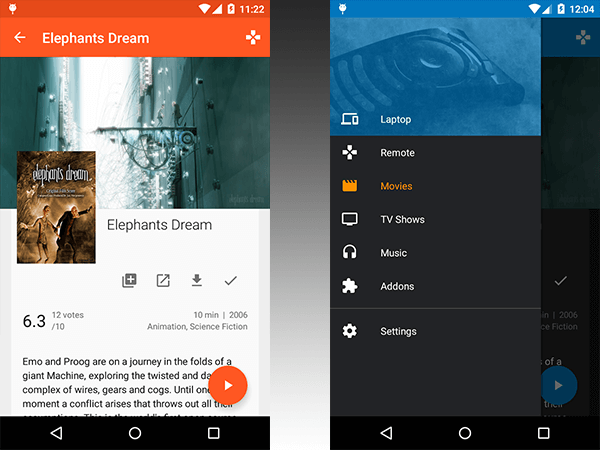 With a community of developers dedicated to the project, the fact of being open source, and now the official endorsement as “the new official Android Remote”, Kore seems to be a rather useful piece of software that has come to stay, and make our lives easier whenever we want to relax and watch the latest episodes of our favorite show.